We are members of Fensa. 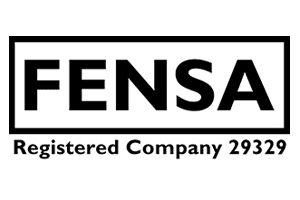 Fensa is the government authorised Competent Persons Scheme for the replacement of windows, doors and roof lights in England and Wales. Homeowners who use a Fensa registered installer will receive a certificate which acts as documentary evidence that the installation work and the products energy efficiency complies with the Building Regulations. The Fensa logo means regular assessment of installers. Our Fensa number is 29329. Check out the FENSA website for more information. We are approved by Trading Standards to provide a reliable and quality service. 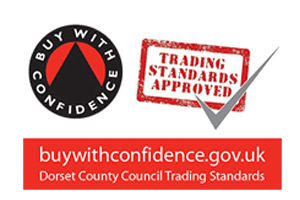 The aim of the Buy With Confidence scheme is to provide consumers with reputable local businesses who have been independently assessed by staff from the Local Authority Trading Standards Service to ensure, trustworthiness, compliance with the law, level of service including value for money, and the company’s commitment to dealing fairly and honestly with its customers. The company also needs to commit to following a code of practice defined by Trading Standards. Check out the Buy With Confidence website for more information. In addition to our 10 year workmanship and materials guarantee we provide, free of charge, an Insurance Back Guarantee (IBG). If the company ceases to trade, issues appearing after this time would still be covered by the IBG through the CPA. To be able to provide CPA cover we had to meet their strict criteria to ensure we provide professional service, are reliable and have the ability to produce the highest quality of work. They also continually monitor us to ensure the standard remains and publish the reports quarterly and annually. The CPA is regulated by the Financial Services Authority. Check out the CPA website for more information.